Keeping your Android firmware up to date is essential – much like using your smartphone with no restrictions, which is why we also recommend unlocking your phone while you’re at it. The Android that powers your phone is called, in more technical terms, firmware. 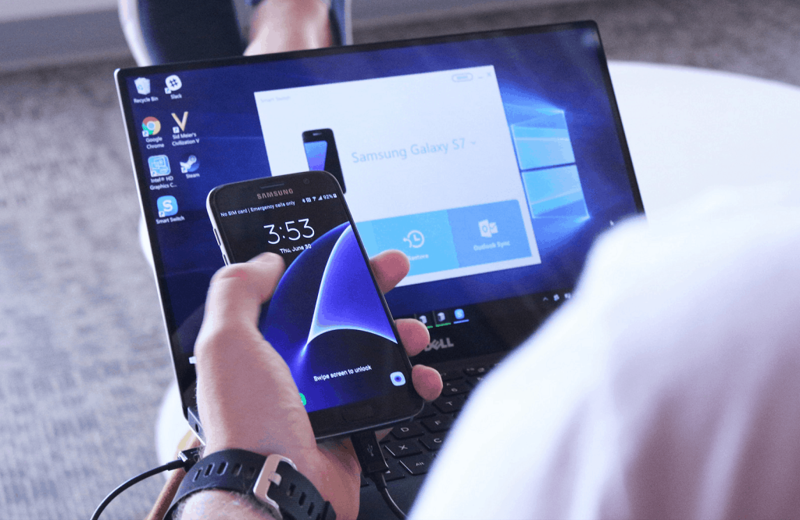 If your phone would be a Windows-powered computer, then firmware versions would be Windows XP, Windows 7, or Windows 10, with many iterations for each broad version. This is more or less what happens with your Android phone – periodically, Google releases a new Android version that improves features and fixes security risks. What is Android firmware exactly? As our tech-savvy readers may already know, a firmware is a set of programs and software installed on the ROM (read-only memory) of devices. In most cases, the firmware of a device cannot be modified or customized, as it is kept well out of reach of the ordinary consumers. However, things do get different when it comes to Android since the entire mobile operating system is compressed and stored in a writable form called NAND flash memory. All of this technical jargon essentially boils down to the fact that unlike your run of the mill firmware, firmware Android which is better known as Android ROM is open to modification. Drawbacks exist as well, but they’re quite rare. You won’t be able to install the latest firmware on a phone you bought 8 years ago, as it most likely won’t be able to handle the newer features that the firmware came with. But barring these rare cases, you should always strive to be up to date with your firmware, even if it’s just from a security point of view. Use our Updato Samsung Android firmware Platform, a large free firmware archive for Samsung Galaxy phones. Use the Android device manufacturer’s website to download official updates. Use OTA updates and get direct updates through your device interface. 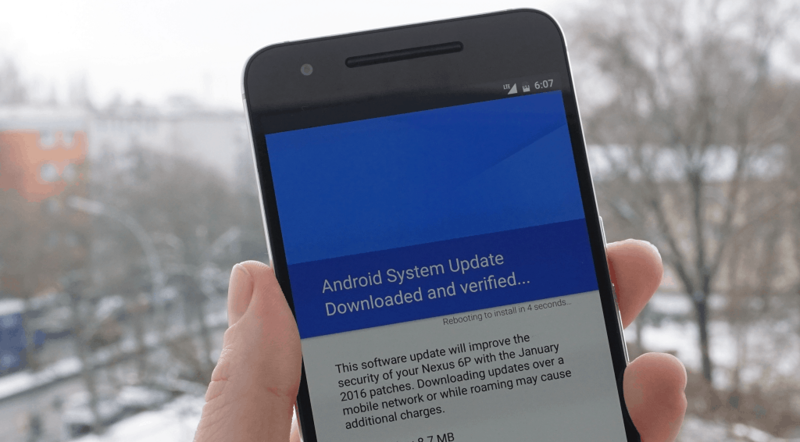 Use Android device’s manufacturer’s official software to download firmware updates. We’ll break down what each option has to offer you, its pros and cons, and how to perform them. After you understand every option in detail it will be easier for you to keep your phone up to date. A while back we launched the Updato free Android firmware download archive, which is now the biggest free firmware archive for Samsung phones on the internet. We’re constantly improving and expanding on it, to make sure that your experience is as smooth as possible. Apart from ensuring that we have all the Samsung Galaxy devices covered, you can rest assured with Updato that the firmware you are downloading has been tested and scanned to be free of malicious code. Considering the fact that firmware files can be rather large in size, our dedicated servers ensure you can download the firmware updates right away. When you visit our library, just enter your phone’s model number to search for the latest firmware. If you’re unsure of your phone’s exact model number, grab your phone and go to “Settings”, then click “About”, and you’ll find your phone’s precise make and model number. Once you enter your device’s model number you’ll see a list with multiple firmware available for download. Choose the one for your region, then just hit Download and wait for the firmware to get downloaded on your computer. You can also use the library for Android firmware download from any region across the world if your specific region isn’t available. However, you must make sure that you enter the model number correctly, and expect a few minor changes depending on the region you download the Android firmware from. Once you have the firmware all that’s left for you to do is install it on your phone, using Samsung Odin. 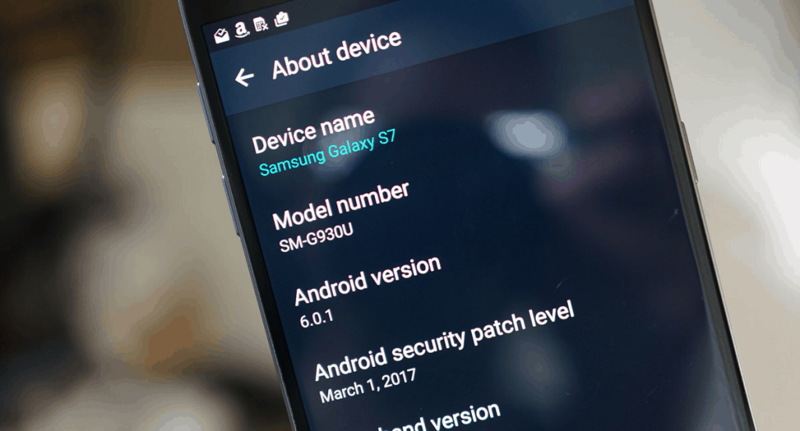 This leaked software used by Samsung to handle Android firmware updates internally has been helping Galaxy users to update, restore, and repair their devices for years. Apart from helping you install the latest updates from any region on your device, it is also capable of flashing custom ROMs, custom recovery, and a lot more. As powerful as the Odin software is, it needs to be used responsibly and with caution. Here’s an in-depth tutorial that shows you how to use Odin to install Android firmware, so make sure you go through it carefully before you proceed further. This is by far the simplest option if you want a specific firmware installed on your Samsung Galaxy device. However, since the option is only applicable to Galaxy devices, there are other ways to update your device firmware right now. Almost every manufacturer in the smartphone industry provides updates through their website. This method will get you the latest official firmware for your Android phone, provided of course that your preferred manufacturer is among those who offer their firmware for download. This method of updating the Android software is not available for every Android manufacturer such as Samsung. The only way to update Samsung Galaxy devices is either through the Odin software unofficially, or officially through the use of Samsung Smart Switch. HTC Sync Manager: Developed by the Taiwanese tech company to help users manage their HTC Android devices, which is available on the official website. Apart from managing the contents of your device and syncing data to the computer, HTC Sync Manager also enables you to install the latest Android firmware updates available officially. Sony Flash Tool: Created by Sony to help users and developers flash their Sony Xperia devices, Sony Flash Tool is a lot like Samsung Odin. While you need to unlock the bootloader of your Xperia device to use this tool, it helps you flash stock as well as custom firmware with ease. LG PC Suite: Quite similar to HTC’s iteration, the LG Pc Suite offers a great user interface to help you backup, restore, and update your Android LG devices. Available on the official LG download section this PC software to update Android firmware also comes with features like SmartShare to help you instantaneously share media and content between your phone and PC. Mi PC Suite: Since it is one of the closest clones to Apple, it is natural for Xiaomi to have its very own iTunes-like Mi PC Suite as well. Designed to look fantastic, it doubles up as a way to share your PC internet with your mobile phone, acts as a file manager, assists in backup and recovery, and gives you a suite of tools to flash the Android firmware on Mi devices. Apart from these official tools to download Android firmware and flash it to your devices, there are third-party options as well. For instance, KDZ Firmware Updater is a great tool for LG devices to unofficially upgrade the software, while RSD Lite for Motorola devices is also a great choice. However, these are tools developed by the Android community and not endorsed by the manufacturers, so tread carefully. First, browse the manufacturer’s site and find their firmware download page. Next, insert your phone’s make and model number, then the build number, or another serial number that your manufacturer uses to identify your phone. Using this method, you’ll have the latest official software release approved by the manufacturer. The advantage of this method is the reliability you get from the official manufacturer, which makes it safe to use and guaranteed to work. The disadvantage is in the delay of releases – or the availability of releases, as some manufacturers stop releasing updates after a while. This is the simplest and safest method for downloading and installing the firmware and is used most often by the majority of smartphone users. Since most manufacturers are interested in helping you get the best from the latest updates, Android comes with the ability to fetch OTA (over-the-air) updates. While Android OS is designed to automatically notify you when a new firmware update is available, it isn’t always perfect. Depending on your mobile or wireless network, you don’t always receive a notification and sometimes you may have to look for the OTA update manually. Just head over to the Settings app on your Android device and look for the “Software Update” option in your smartphone’s interface. Some devices also have an entirely separate app for the System Updates. Simply tap on “Check for Updates” and you will automatically be able to see the latest updates directly on your device if any are available. This method relies on the manufacturer’s updates, and you can expect delays depending on your region. Note: Some manufacturers provide special features for specifically chosen regions, and restrict them for others. For instance, features like VoLTE and Wi-Fi Calling on the Samsung Galaxy devices are restricted to certain regions. OTA updates are mostly for the latest devices that are essentially guaranteed to be supported by manufacturers for at least a year to come, while older ones have a relatively long waiting period. This “set it and forget it” option can be very handy, and if you’re not keen on having the latest firmware the day it’s released then it’s a good enough option. Depending on your Android device and how popular it is, you will be able to find a multitude of sources for the latest Android firmware download all over the internet. While it may seem tempting, installing a corrupt or malware-inflicted Android ROM can spell nothing but trouble. The Updato Android firmware platform ensures that each and every available download is tried and tested with state of the art antivirus protection. But even with that assurance, the entire ordeal of flashing a firmware on your device may seem too complicated. If you are looking for an official way to update your Android firmware without downloading the ROM, we recommend you choose none another than the official software provided by your device manufacturer. Almost every mainstream Android manufacturer has their very own “iTunes-like” suite to help users update their devices and manage their data. For instance, if you own a Samsung Galaxy device, you can download the Samsung Smart Switch software to download Android firmware officially. Samsung also provides Kies software for older Galaxy devices, which helps you not only update your phone to the latest available Android version but also synchronizes and backs up your personal data. Similar to OTA updates, this option will only bring you’re the latest Android firmware through the official channel. This means that you cannot install custom ROMs or the stock firmware Android from other regions, which does limit your choices. Was this comprehensive guide on how to download Android firmware update helpful in getting your device tuned up and running on all cylinders? We’ve done our best to streamline the process and make it easy to follow, but if questions arise, or you just want someone to hold your hand, leave a comment below or on the Updato forum and we’ll do our best to help.